Spring is almost here! It’s time to go to VJLS’s Spring Market Fair! 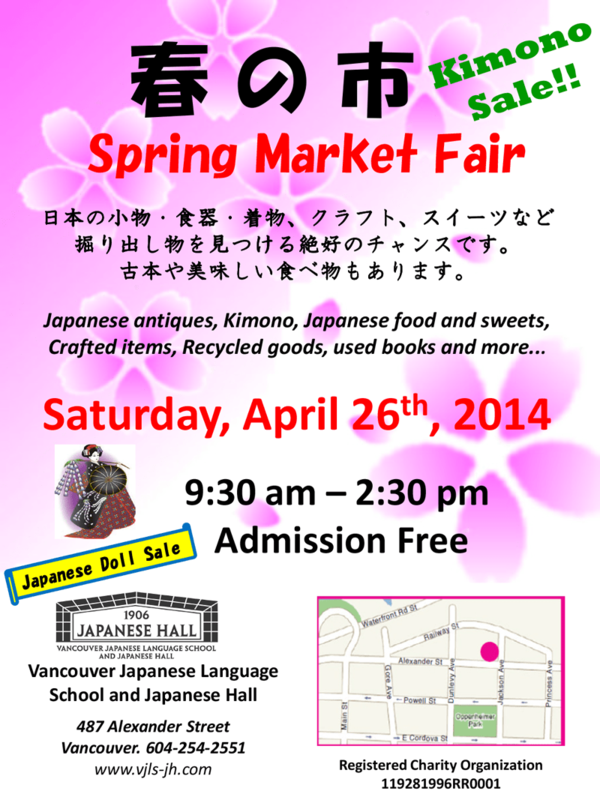 There will be independent vendors, Japanese dolls, craft items, Japanese kimono and other items for sale! You will also find some Japanese traditional sweets. Bring your friends and family to celebrate spring! No Comments to "2014 Spring Market Fair ［春の市］"